It is a general rule for any business that the needs of customers and clients should be the company’s first and most important priority. This is a principle that is especially important to me as a personal injury lawyer since accident victims depend on me to get the compensation they need to heal and rebuild their lives. The best personal injury attorney in Albuquerque for your accident case is the one who will put your needs first each step of the way. It is easy for any law firm to say they put clients first. It is another thing entirely to actually do it. 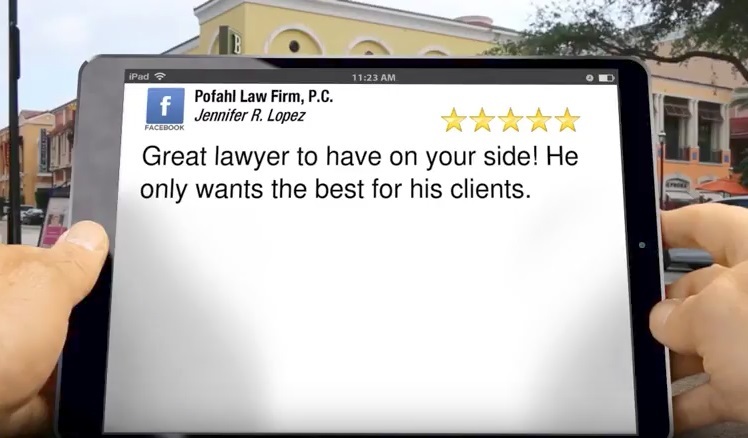 I am proud to say that our clients often recognize that Pofahl Law Firm, P.C. always strives to put your best interests first. Here are just two of the most important ways you can be assured that my law firm will put your needs first when you contact me after an Albuquerque accident. Whether you give me a call or contact me online, I will respond to your legal questions or concerns promptly. If a lawyer doesn’t treat your concerns as important, you can’t have very much confidence that they will be putting you first every step of the way. I care about my clients, and this is transparent from the moment you reach out to my firm. From a legal perspective, the end point of putting clients first also means getting results. If your lawyer does not get the settlement you need or win the case for you, nobody gets paid. But more importantly, accident victims do not receive the compensation their lives and well-being depend on in the aftermath of an accident. Between the beginning and end of your case, know that I will be providing you with timely updates and reliable counsel each step of the way. Contact me for a legal consultation if you are ready to speak with an Albuquerque injury attorney who commits to putting your needs first.